Ah, cool. Ancient machinery breaking down even faster than we thought. Erm … what is happening to my shiel… ow crap. 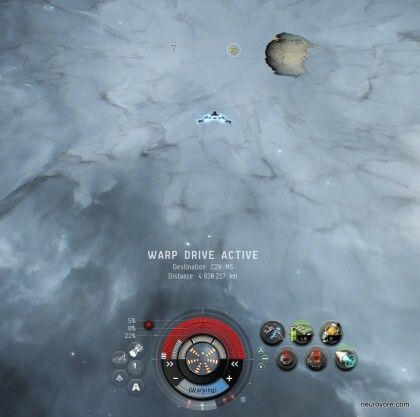 Warp out , warp goddammit out! 362 DPS. And that was with ~80% resists across the board. Seems Sleepers didn’t reveal all the tricks up their collective sleeves yet. First volley took 3/4 of my Tengu’s shields clear off , so I activated the GTFO backup plan and warped to safe spot. Upon re-entering the site, the friendly sentry was dead and rest of sentry towers immediately locked me again. A bzzzt moment later almost all shields were down and I didn’t stick around for the second volley. I’m pretty sure that I managed second hack in time – otherwise the third message should pop before the second. 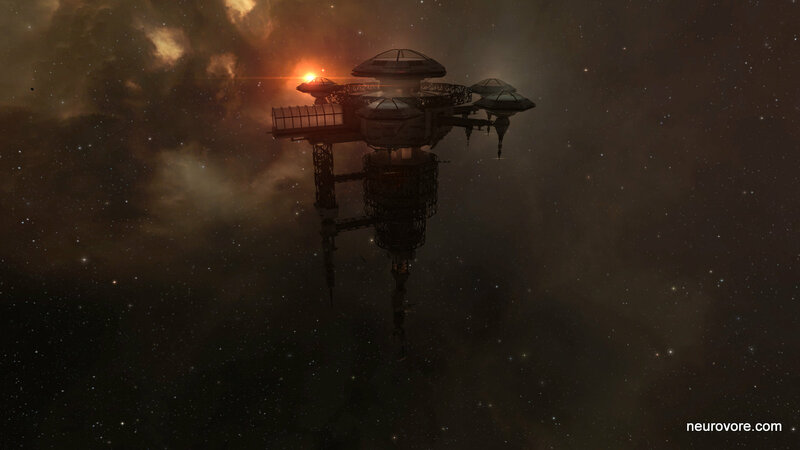 So, no idea if this is a bug or not … but nasty surprises are part of EVE after all. I’ve found another one and managed to get my questions answered. If you put all your coordinate data sheets in the “Low” container, you get a rift that transports you to Tractor Beam. When you hack it , it goes online and pulls all 6 hidden containers from the far side of the room (from where you land if you put coordinate sheets into “High” container and have to zip around to uncloack them). I MWD-ed there after looting to double-check. No cloaked containers were found. On the first ball, it looks like “High” rift and manually uncloaking containers is a waste of time. Well, not necessarily so. It all depends on how tanked your ship is. There are three Remote defense Grid units. One at the start, one in the middle and one at the far end. When I did the tractor beam, I activated all three sentries. 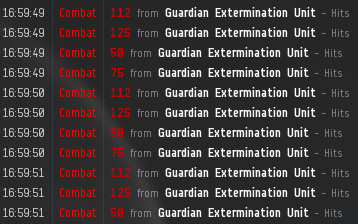 You can get one inactive, if you hack the Remote defense Grid unit nearby. On the other hand, when I did it the first time and used “High” rift , I had only one sentry on me – hacked Remote defense Grid unit at the start and one when I landed on the far side of the room. There might be a way to turn all of them off, but I didn’t manage to do it , even with hacking all three Remote defense Grid units. The one on the far side was on even after that. At last. Found it. Had to equip some scanning arrays despite my scan strength being 112 , which by explorer consensus should be enough for this site. Anyway, scanned it down to 100% , equipped some shield buffer just in case and in we go. First was the Hyperfluct generator hack, which was the same thing as in the standard cache. After the warp in , i landed in a room with several sentries , cans , plasma tanks , Remote Defense Grid Unit , Sentry Repair Station , Vessel Rejuvenation Battery and another Hyperfluct Generator. Sentries were all passive … so far. Let’s get down to business. Hack Remote Defense Grid Unit – i got a friendly sentry , which started shooting at red sentries. And vice versa. Message in local told me that my little sentry won’t last long and I should find some way to help it. Sentry Repair Station sounds about right for this. After hacking it, I just waited until my sentry made scrap metal out of the angry sentries. Room was safe to loot now. The only other message was that plasma cans are not safe to approach , which I didn’t. After looting all the containers, I entered the Strange Rift and ended up in a site with Sleeper Multiplexer Forwarder , Solray Observation Unit , Solray Unaligned Power Terminal with several cans around it and three rifts – each with an empty can near it. Gleam around Solray Unaligned Power Terminal looked fishy and I was right. When i got approx 16km from it, I started getting around 200+dps dmg. Frantic backpedaling back to safe distance. So, it’s Unaligned … how to align it. Hacking Solray Observation Unit netted me Radio Alignment Unit. Now, each of those empty cans was labelled with different name and one of them had “Radio” in its name. Off to it we go. I MWD-ed there, since I had no clue if where the rifts lead – and I didn’t want to end up somewhere nasty. At least not before I loot the cans. After the Radio Alignment Unit was deposited in Radio can, I got the message in local that Unaligned Power Terminal is now aligned and safe to approach. Despite that message, I still got approx 20dps periodic damage for being next to it. 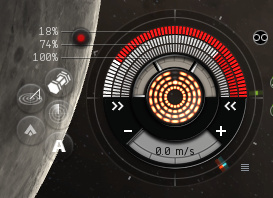 Not a problem in a Tengu with 80+ resists across the board, but I imagine Astero or other exploration frigates could have a bit of pressure here to hack fast. After taking this part of the cache to the cleaners, I entered the rift in the middle and ended back in sentry room. Now, there was another person in the system for the last few minutes and I was checking D-Scan periodically. At this moment his combat probes were closer than 2AU. He was starting to get too close for comfort, so I moved away from entry position (and other clutter) for some 20km and cloaked up. Let’s wait this out. Grabbed coffee cup and off I go for refill , when I saw a flash from the monitor. Site despawned on me. Crap. 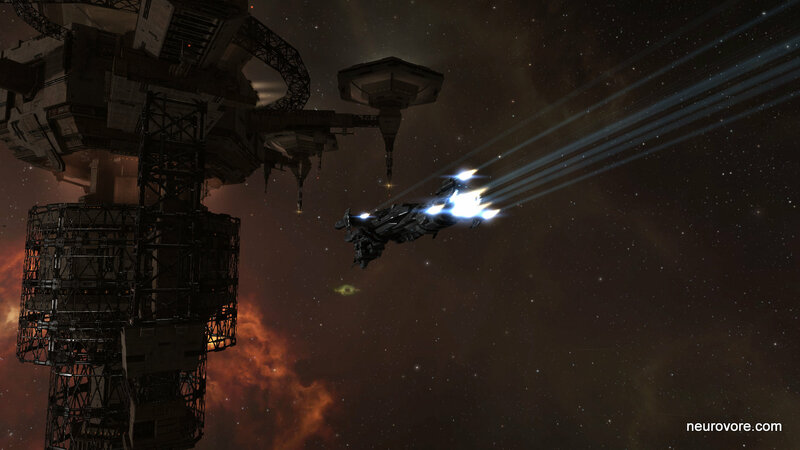 Well, nothing more to do here except warp to safe spot and refit. I’ll wait for a few more tries before I turn to google. Loot-wise it was pretty good. 250+ mil and 5 polarised BPC’s. After FOTM adventures , I didn’t find any of Sleeper sites for a few days. Was getting resigned to the RNG giving me the soiled end of the stick , probably for botching up the first attempt. So, no sleepers for me. Up until a low percentage 2AU sig popped up in Great Wildlands. And here it was in all it’s glory – Standard Sleeper Cache. I resisted the temptation to google it. The thrill of something new and unknown was topping possible ship loss by a ration of googleplex : 1. Bookmark result , warp to zero an let the adventure begin. Landing on sig, I saw a shielded Hyperfluct Generator. Hacking this opened a Spatial Rift to a Logistic Depot with several containers , structures and three Sentry Towers. Nothing was attacking me … so far. First I hacked three nearby sleepers containers (Mangled,Dented …). Last one spawned a “Defense Alarm Unit” with a message in local, that it will sound an alarm in 60 seconds if I don’t silence it first. This one needed data module to hack & I just barely made it. No alarm sounded and succeeding in the hack spawned a Pristine container nearby. After getting loot from it, I turned my attention to Coordinate Plotting Device. Hacking all 3 of them netted me 3 coordinate sheets in my cargohold. On top of that structure were 2 empty “cans” – one labeled something something “High” , the other something something “Low” (sorry, was too excited to take proper notes) . I’ve deposited all three coordinate sheets into “High” one and a rift opened nearby. Before entering it , I hacked the Remote defense Grid unit and got a message that one of the sentries switched to forward defense (to the middle of the area, i guess – since nothing was shooting at me). Entering rift warped me to the back of the room , where two sentries opened fire. Being in Tengu , that didn’t hurt me much. Still went and hacked another Remote Defense Grid Unit nearby and one sentry shut itself down. 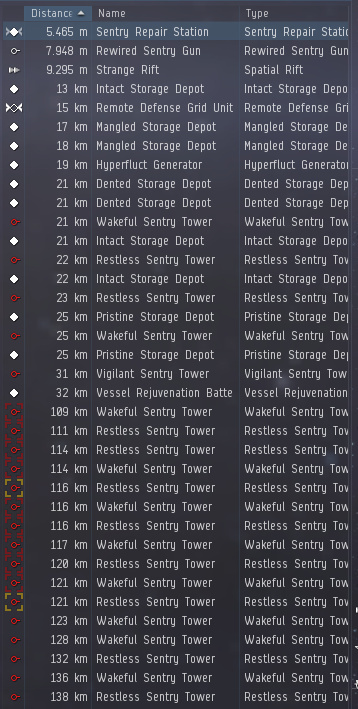 Hacked three containers around the central structure , then suddenly a message in local informed me that a container decloaked nearby. Oh, more loot. But if there is one, there could be more. For next few minutes , I was zigzagging around until I managed to decloak four more. Loot pinatas. What now … let’s try to take coordinate sheet out of the “High” can and put them into “Low”. Warped to safe spot , then back to bookmarked sig entrance. Warp in , open “High” can … and I couldn’t take the sheets out. Message was “This is not yours to take”. Okay, lets MWD to the tractor beam. Arriving there, two sentries opened fire on me. Hacking another Remote Defense Grid Unit got me rid of one sentry , leaving the remaining pinging on my shields. Hacking the Tractor Beam got me only a message in local that tractor beam is shutting down since there isn’t anything in range to pull. Looks like I’m done. The tractor beam part still bugs me , tho. Maybe if you open low rift first , then the hacked tractor beam pulls all those cloaked containers from the far part of the room to you ? Will try that when I find another cache. 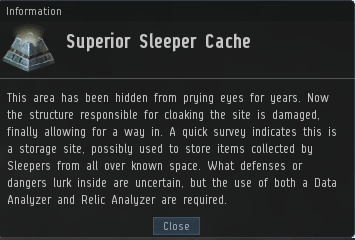 Loot wise the cache netted 75mil in loot (sleeper industry materials, R.A.M’s , some guns) , a few polarised weapon BPC’s and one faction (storyline ?) BPC. Now you see me , now you … errr…huh ? In this case it doesn’t stand for the “Fit Of The Month” or “Flavor Of The Month” , but for the “Fuckup Of The Month” award. Fit set, stabs on , CovOps cloak petted and polished , brake lights working , coffee present . Destination : Branch. Waypoints : 35+. 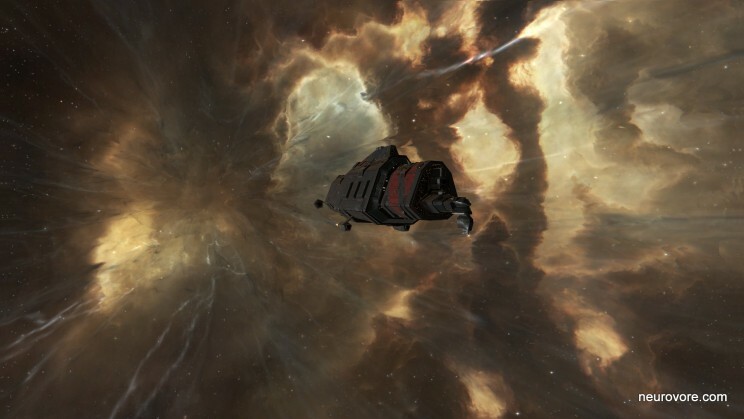 Yes, there is a thing with wormhole travel. Yes, I’m still scared of wormholes … well, one of these days I’ll brave more than just a daytrip. But not today. Voyage there wasn’t uneventful for once (not that I was complaining before). 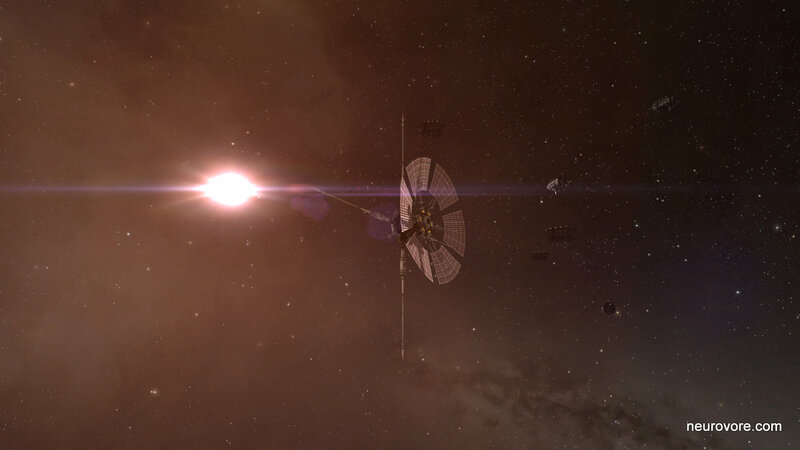 Lowsec/null border was infested with gatecamps. One burn back to the gate was needed because of a lucky uncloaker – saved by the 100MN AB , so I went a roundabout route through Pure Blind. After a few more adrenaline prone encounters, I ended up in a quiet corner of Branch space. Let’s start scanning. First system, nada. Second system … a suspiciously difficult sig to pin down. Wooha, a Standard Sleeper Cache. Bingo. Let’s make a safe spot and change gear. Launching Mobile Depot , twiddling thumbs for 60 seconds and hoping no angry men will crash this sleeper party in the making. Invulns off , hacking tools on … erm, wth ? Where are my Data and relic analyzers ? Resorting cargohold , but I don’t have so many stuff in there that they could be lost in the clutter. Mind goes into Puzzlement mode. Fast rewind. The idea was to unfit the damn things from my ceptor and fit them here … which I obviously mentally checked off as done , but never actually did. Mind goes into O’reallyYouScatterBrainedIdiot mode. No stations with docking rights lightyears around and angry men with twitchy trigger fingers all around. Let’s sneak out and back home. Need to consolidate my assets anyway (Read : Procrastinate). Rest of Sindel’s beautiful work can be heard / downloaded here. I’ve had this Tengu for a long time. Lost two Tengus in the past (due to sheer stupidity and overconfidence , again) , but this one was gathering dust in my hangar for a couple of years. It was fitted for PVP , but never saw combat (Read: exploded without much effect to hostiles). At the time when it was needed , I already completed my training for stealth bomber. And if i needed a CovOps scout, the low cost of SB was preferable to a strategic cruiser. Anyway , in my last expedition into ORE space (which I survived … this time) , I came across signatures that I couldn’t scan down with reduced probe strength. More than a few of them. No idea why ORE space should have more difficult sigs , but here we are , unable to get that sweet 100% and warp arrow. A bit vexing, that. So, what now. CovOps frigate has bonuses but is paper thin and lacks the ceptor align time and speed. It surely wouldn’t survive the face first dive into that smartbombing apoc from few days ago. Yeah, I know that could be avoided by scouting ahead. But I still want some measure of buffer when I fumble. 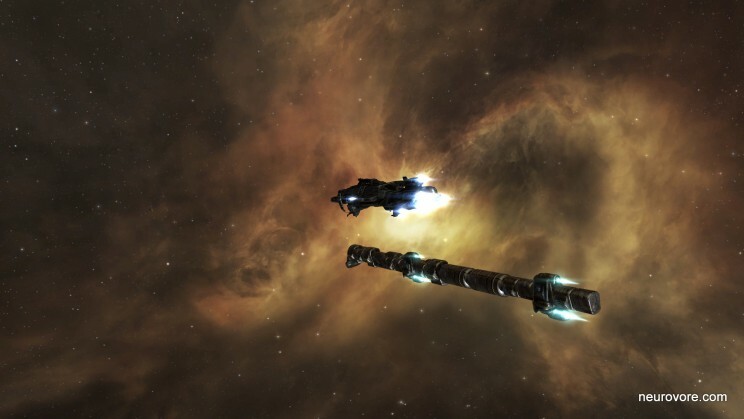 New Sisters of EVE ships … if I want to have a ship with bonuses, I’ll take full lvl5 bonus and not 37.5% they’re sporting. And still lacking in skills to get the cruiser version. I mean … I can fly it , but that’s all. Time to dust off that Tengu and make it earn hangar space. Traveling dual prop fit to get into deep null. Shield resists 73/90/85/75 , battleship class afterburner to keep the speed after MWD gets shut off by scram and align time of approx 4 seconds. Should be enough , unless i crash into Competent Gatecamp (TM). After that I’ll switch invulns for Relic Analyzer II & Cargo Scanner II. Cargo scanner for Data sites , to see if they’re wort refitting for (faction blueprint). Let’s boldly go … erm, wrong lore. It was a slow evening in Venal. Ruins cans were still stingy , scenery was bleak , D-Scans were full of combat probes and Asteros were elbowing me out of the sites. Bad side of using Interceptor as an exploration ship (besides the obvious – absence of any scan/hack bonuses) is that the only weapon I can mount is a single 150mm Railgun II. Which does about the same DPS as a wet napkin. After a near miss with a few angry Hobgoblins & Warriors , I decided It’s one of those evenings and headed home. With a short stop in my high-sec station trader’s home to unload loot. Warp away. As it turns out , this moment was the last “slow” moment of the evening. Fast forward 10 jumps. Crow on the gate. I jumped, he jumped right after me. Next gate he was already on grid before me, even with me warping first. Maybe a second or two. This is not good. Ok, maybe he’s just traveling the same route. Pick another gate off the beaten track. He’s there. Double back deeper into Venal. He’s there … fast enough to lock and point me. MWD on, burn back to the gate. Jump. Switch overview to Warp Out , land 50 off asteroid field and cloak up. He jumps into system. And stays. A minute after that a new ship jumps in. From the same corp. 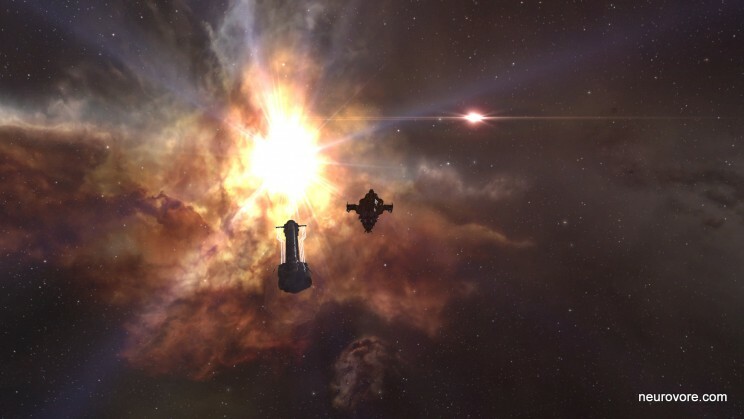 Combat probes on D-Scan. Time to make myself a late night cup of tea. And let adrenaline dissipate. Came back to an empty system and some assorted poultry-related taunts left for me in local. I wonder if such taunts ever work … I mean , I don’t even feel a need to respond. What did they expect ? Me uncloaking and bravely storming out with my pea shooter overheated ? If they checked my KB , they would see my last losses and know my probable fit. And capsuleers prone to rage outbursts usually aren’t the same ones that warm up to exploration. Let’s plot and alternate route. Checking map for “Pilots in space” and avoiding bigger orange dots. Warp away. 2 jumps before null/low border with 2 other persons in system. Both from different corps and different alliances. Initiate warp. Local pops up with “BS piping on gate!!!”. Hm, what could that mean. Pipebombing ? With one person doing it ? Naaah. I got away for not warping directly from gate to gate and probably just grazing the disco field. This Crow and Taranis weren’t so lucky. Now to the final adrenalin dissipation technique – Zzzzzz.